Leading up to the Friday, November 9 release of his much-anticipated new album, Experiment, three-time American Music award winner Kane Brown heads to New York City for a series of national media hits starting with his debut appearance on “LIVE with Kelly & Ryan” on Tuesday, November 6. Additional stops include performances on “Pickler and Ben” (Nov. 8), “The Voice” (Nov. 13) and the “Jimmy Kimmel LIVE” Outdoor Stage (Nov. 14) following the CMA Awards. While in New York, Brown will perform at iHeartCountry LIVE with Kane Brown Powered by M&M’S: A First Look Inside his new album Experiment at iHeartRadio Theater before a live audience. The exclusive performance and intimate Q&A hosted by Amy Brown will stream on iHeartCountry’s Official YouTube Channel at 7:00 pm Eastern Time. Additionally, the 25-year old singer-songwriter will take the stage for his first-ever sold-out headlining performance as part of the Budweiser One Night Only Concert Series at the Hulu Theater at Madison Square Garden on November 7. Spotlighted as the cover story in the November 3 issue of Billboard Magazine available now, Brown will be making additional soon-to-be-announced appearances during his Experiment album launch week, including a live stream of Brown’s iHeart Theater show scheduled to take place November 6. As previously announced, Brown will also perform on Macy’s Thanksgiving Day Parade. Brown’s forthcoming Experiment is the follow-up to his multi-week chart-topping Platinum-certified RCA Nashville/Zone 4 debut album. It is produced by multiple-award winner Dann Huff and features 12 tracks, 11 of which the country star co-wrote including his Top 5 airplay and streaming hit “Lose It.” Pre-order the new album HERE . In addition to his hit single, already-released album tracks “Weekend,” “Hometown,” “Short Skirt Weather” and “Good As You” are available to download and stream now; music videos of each of these advance tracks are also available to stream. Released Friday, November 2, Apple Music Presents: Kane Brown – Experiment is available worldwide HERE. 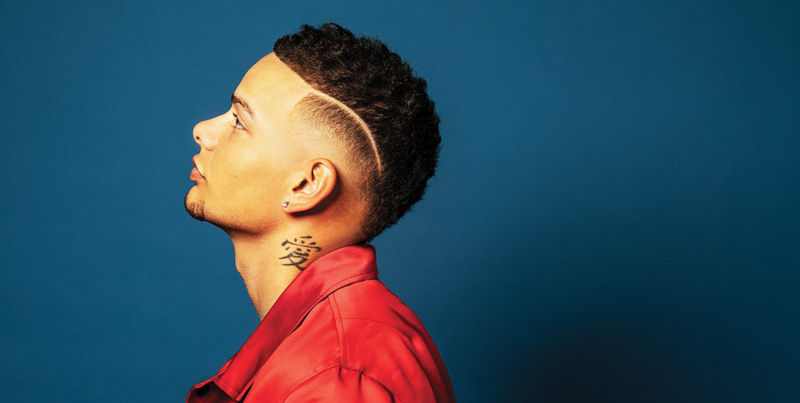 Kane Brown was recently awarded three 2018 American Music Awards for Favorite Male Artist – Country, Favorite Album – Country for his Platinum-certified multi-week #1 self-titled debut release, and Favorite Song – Country for the Double-Platinum multi-week #1 smash “Heaven.” He made history as the country star with the most award wins in one night for a first time nominee, and was the most-nominated artist in this year’s AMA Country categories.